Sorry for the inconvenience. Feel free to contact us for product information. 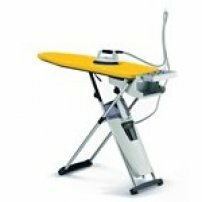 We are the National Importer and Wholesale Distributor of LAURASTAR Ironing Systems. It is the best Steam Ironing System in the world! With over 35 years experience in designing, manufacturing and selling, LAURASTAR just knows how to make their home irons work as well as professional systems. We are the main service center for all Laurastar service issues.